Hello everyone! It's getting colder, winter is here. We must prepare. AND DECORATE! 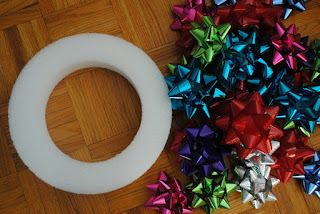 Today I have 3 DIYs for you so you can spice up your room for the winter/holiday time. These are fairly easy and took me around 5-10 minutes each! -Hot glue or some sort of adhesive: this is optional, but sometimes the backing on the bows doesn't stick. If you have a paper mold, you should be fine with this. You can either paint the sticks first or after, it's up to you. I did it before but I didn't take any pictures. 1) Make a star sort of shape. Start with an X and then take two sticks and lay them across. 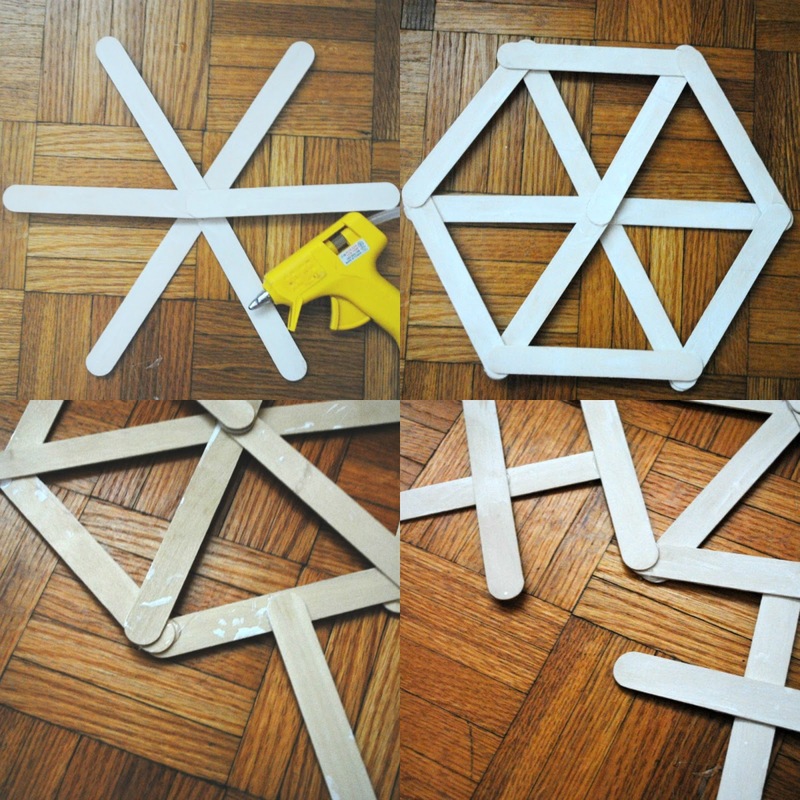 4) Glue a stick across each vertical stick to create a cross! You can mix and match and do it however you want, remember every snowflake is different! 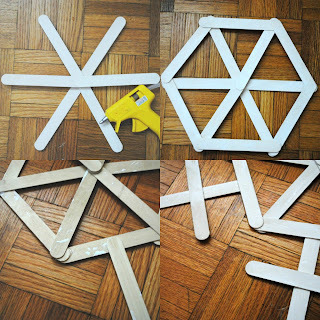 I would suggest painting BOTH sides of the popsicle sticks if you're planning to hang them. From your paper, cut out multiple tear drops. I did these in multicolors but you can also make them white or yellow. And then, cut out a rectangle from yellow, gold, white, or silver paper to make the little attachment at top. 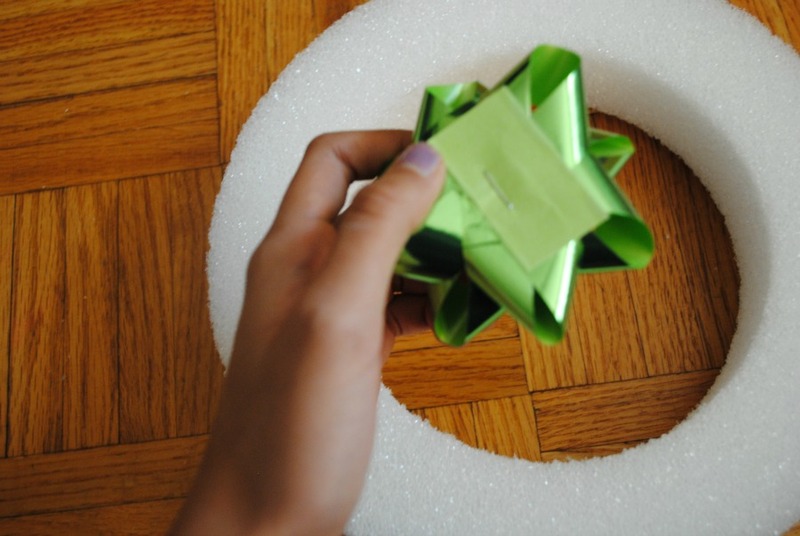 Glue it to the bigger end of the teardrop and cut around to fit. Another option is that if you have actual lights, you can stick them onto the lights, like I did! I forgot to mention, if anyone would like a blog design, just email me (email is on contact page) and I'll totally help out! Let me know how you prepare your space for winter, I'd love to know! 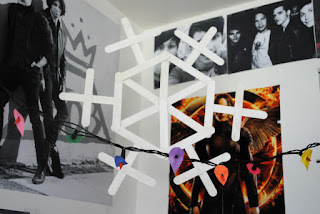 OMG, I love the idea of making snowflakes out of Popsicle sticks, so creative! and they look great! Love the new look, though I liked the old one better. *sheepishly* Sorry. 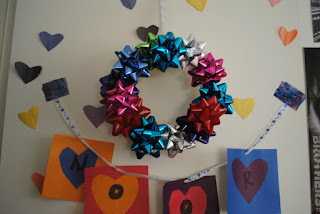 I love the wreath, but they're all so cute! oh the wreath is so cute! Hey Noor, this has nothing to do with this post. I was just wondering if I could do a guest post? I mean if you'd allow me too, and in return you could do a guest post on my blog! This post was so adorable and extremely creative, well done Noor! Did you come up with these yourself? Wow, I love the bow wreath! Thanks for the great ideas! !